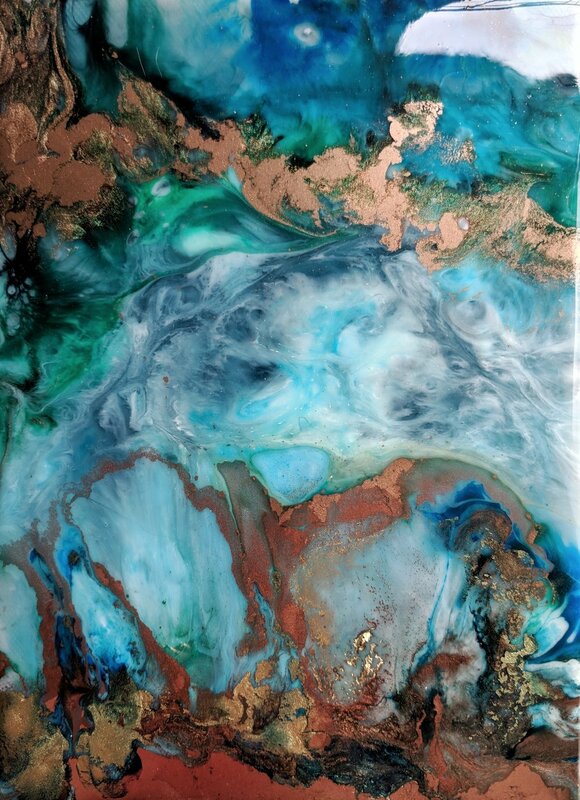 Artist Unusual Girl will lead you through the utterly absorbing process of mixing, colouring and pouring resin. Watch in wonder as you drip inks, sprinkle powders and see how the resin reacts. Making resin art is a fun, unpredictable creative activity with fantastic results even for beginners. It's also messy, needs quite a bit of kit and can be a little intimidating to start. Which is why Unusual Girl is here to give you the benefit of her years of experience and free reign to experiment! All materials will be provided but please dress for mess from top to toe! Book your place by following the link here..